Another great opportunity to brag about our great employees, and no better way than to announce that Michael Watson has been named the employee of the month February. During my tenure as CEO for LearnKey, I can honestly echo what Jared shares about Michael. He displays our core values each and every day: Trust – from his clients, Value – in his commitment to be the best resource to his peers and clients, and Ease – in how easy it is to get along with him. 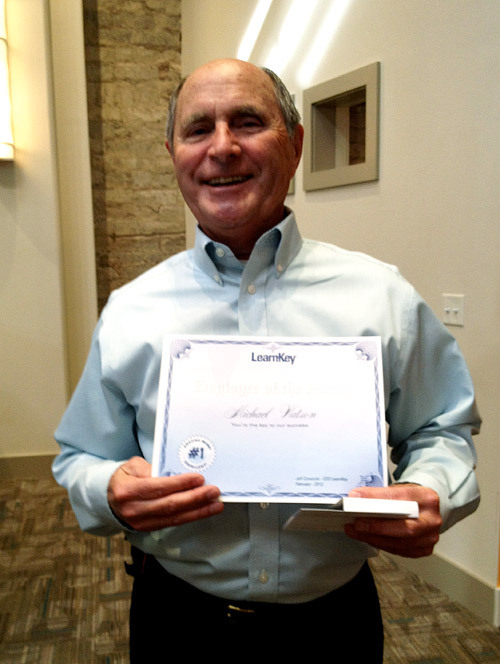 Thank you Michael for your commitment to LearnKey. We truly feel fortunate to have you on our team! LearnKey Team Members who Really Shine! At LearnKey we are very excited for 2012, and there is no better way to start the year then to share our most recent Employee of the Month winners. Success in any organization starts with great people and I am really pleased to take a moment and share some insight about these two great individuals. First I want to recognize Levi Williams, a great example of “can do attitude”! It does not matter if he’s helping one of our K-12 customers with IT questions, or internal team members with basic questions. He is always wanting to help out in anyway he can. 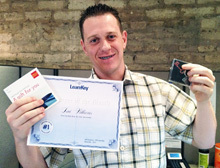 He was named employee of the month for December 2011 and nominated by several team members for his constant display of our core values around: trust, value and ease. 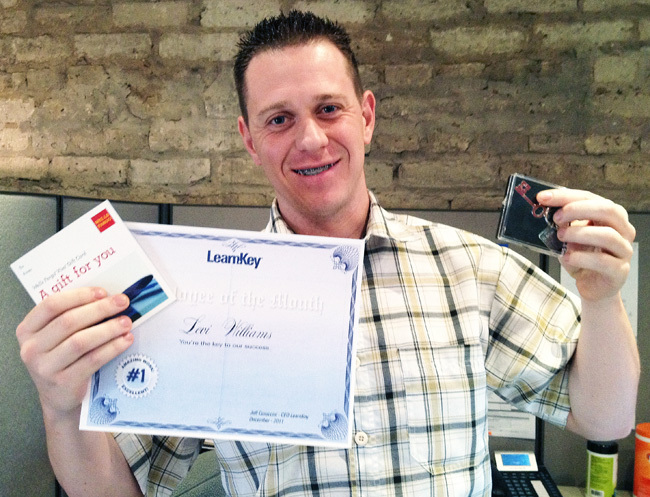 Levi works out of our St. George, UT supporting our IT needs. 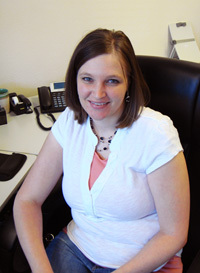 The second team member, Sharlinda Jessup, out of our Cedar City, UT office, has been named the employee of the month for January 2012. Sharlinda embodies our core value of trust in everything she does. No matter what assignment, she can always be trusted to get it done quickly and with minimum direction. She has gained the trust of every employee she has interacted with in her time at LearnKey, and she responds to that trust whenever she is asked to do something. Shar’s commitment and work ethic provides a level of ease to our process which is unmatched. I can not convey enough how the entire team at LearnKey is so proud to have Levi and Sharlinda supporting our customers and what an impact their combination of “can do attitude” and “commitment” means to our company. Be sure to check back, as February is right around the corner! As you know, LearnKey is all about creating premium video course ware, so you could say learning is what we do. With that said, it’s always great to catch one of our very own employees learning something new. 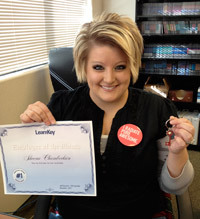 Recently Sheena Chamberlain from our Cedar City office was named the November employee of the month for learning our new mobile technology with LearnCast. She was selected as part of an initiative to integrate our new mobile learning platform into LearnKey. In just a short period of time she has created two courses, Bullying: You Do Not Have to Take it Anymore and a QuickBooks demonstration. Again demonstrating our core values, Sheena quickly gained the trust of LearnCast’s founder Dave Clemons by jumping in and learning how to re-purpose content and distribute it to any device . Not only has Sheena learned this new technology, she also continues to do her other job supporting our technical writers and designers. For those of you that don’t know Sheena very well, we have asked her to answer a few questions that might give you a little insight into just the type of person Sheena is. As we continue grow, gain success, and reach new heights as a company, it is important that we recognize our most valuable assets: the employees who help us achieve greatness by demonstrating what we stand for through our core values of Ease, Value, and Trust. Which is why we want to provide a work environment that fosters ease for our employees to get their job done, as well as feel valued for the work they do, and in return the bond of trust is a never ending building process between all of us and our customers. These core values live with us first, becoming the fabric of our company and ultimately are passed along to our valued customers. Over the past two months I have been extremely proud of the people we have working at LearnKey, and it has been a great experience, which is why my first blog was all about the talent on our team. The key ingredient to any successful company starts with the people. Now its time to start sharing with everyone the successes of our employees each month. It is absolutely amazing what a great team we have at LearnKey! Over the past three weeks I have had a blast traveling throughout Utah between Salt Lake City, Cedar City and St. George getting to know each and every team member. The talent is unbelievable. Starting with our production studios in Salt Lake City, if you want to get a taste of what they do then be sure to check out our A+ Certification 2009 course; its one of the most popular in the industry. After they shoot the video, then its up to the brilliant group of elearning video designers and technical writers in our Cedar City office, led by Wyett, that make it all come together. After my first visit the design team put together a list of ideas in how we can deliver a better video delivery experience for our customers – is that cool or what? Wait till they get more familiar with our newest partner LearnCast and learn about the opportunities this great mobile platform will create for everyone in the company. Really going to be exciting. Of course when talking about talent at LearnKey, there is no way I can close this message without giving major props to our St. George headquarters, especially for a flawless roll out of our OnlineExpert v6 release. It really is a reflection of good people working together for one cause, which is to provide the best user/customer experience we possibly can. My number one priority is to ensure our leadership team fosters a culture focused on “employee first” values around Trust, Value and Ease. John, Lori and Dave are totally on board and holding me accountable to do that everyday. Who are they? More to come so stay tuned!